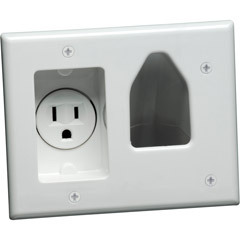 Flat F-to-F jumper; Cable thickness only 3/32"; 75_; Eliminates drilling through walls & runs under or over windows & doors; Soft, waterproof PVC jacket; Bulk packaging; White; 8"
HW251N - Coiled cord connects any headset with Quick-Disconnect plug to a standard modular telephone headset jack. 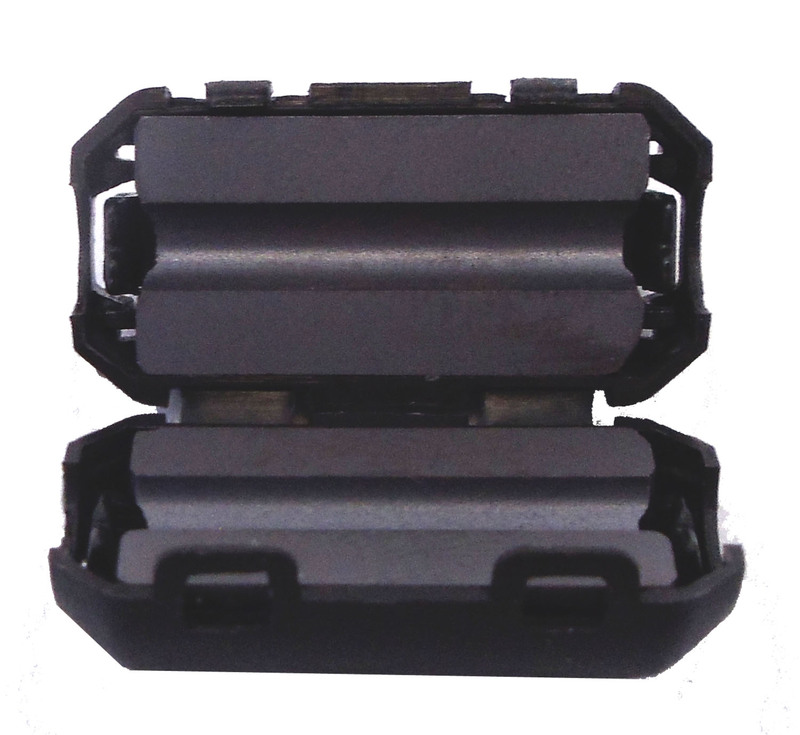 Replaced the HW251N-CIS This item cannot be shipped to APO/FPO addresses. Please accept our apologies. 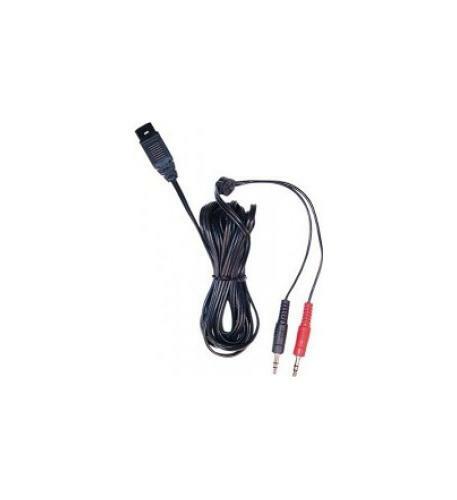 Plantronics EHS Cable APP-51 38439-11 Polycom for CS500 + Savi - Electronic Hook Switches EHS communicate electronically with your phone giving your wireless headset answer/end and ring alerts remotely. 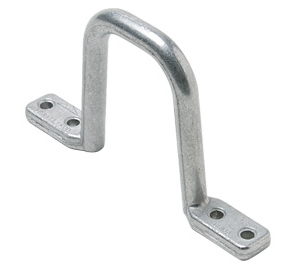 The use of an EHS cable eliminates the need for an HL10 handset lifter. (Formerly 38439-01 - APP-50). 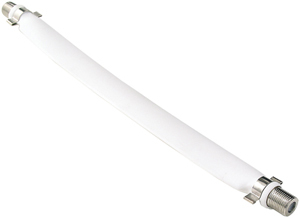 Compatible with: CS500 Series (CS510 CS520 CS540) Savi Office (WO100 WO200 WO300 WO350) Savi 700 Series (W710 W720 W730 W730M W740 W740M W745) This item cannot be shipped to APO/FPO addresses. Please accept our apologies. 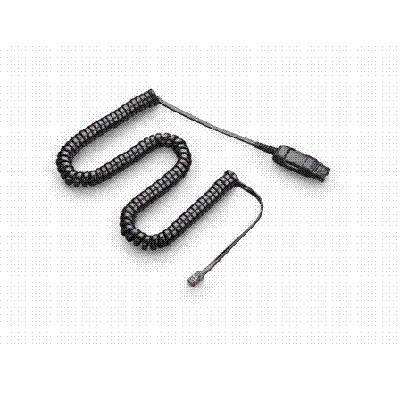 Training Y-Connector connects two headset tops to a single headset adapter for training purposes. 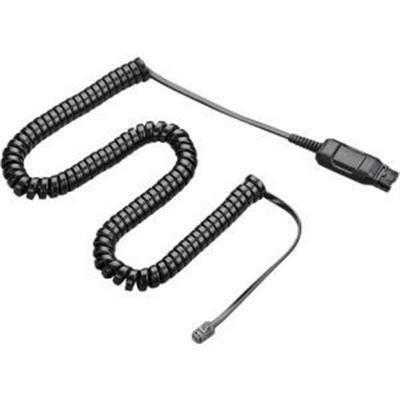 For Use With: Plantronics� Headsets. 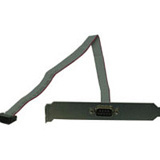 APU-72 83018-11 EHS USB Savi Cisco/Nortel This item cannot be shipped to APO/FPO addresses. Please accept our apologies. 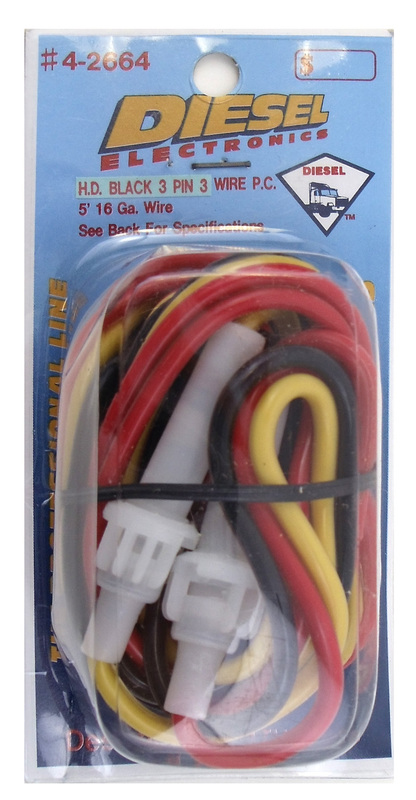 A10 Direct Connect Cable. 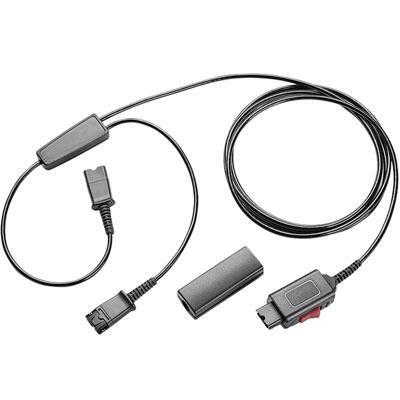 - Box - (Updated sku is 66268-03 - Bagged version)..Easily connect a Plantronics H-series headset to most headset-ready phones via the headset port with the A10 cable. This item cannot be shipped to APO/FPO addresses. Please accept our apologies. 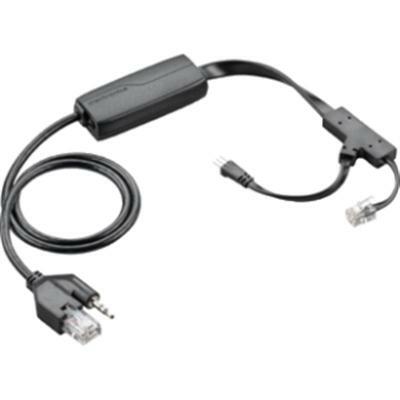 HIC-10 ADAPTER CABLE This item cannot be shipped to APO/FPO addresses. Please accept our apologies. 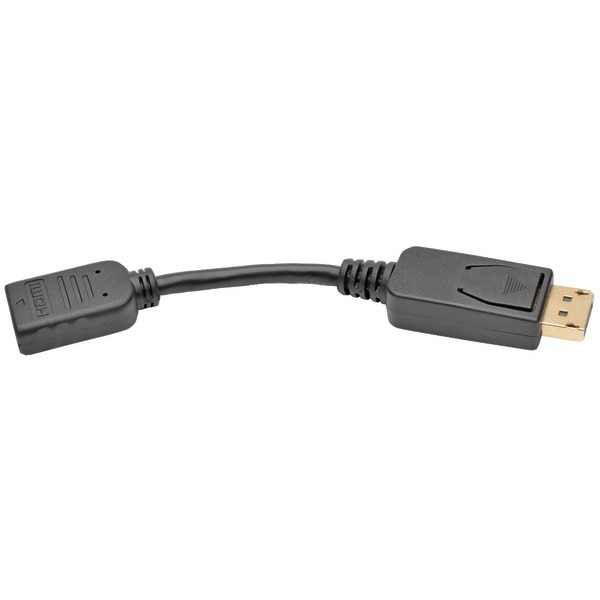 Tripp Lite P136-000 DisplayPort to HDMI Converter Adapter, 6" Tripp Lite P136-000 DisplayPort to HDMI Converter Adapter, 6"
DB9M SERIAL ADD-A-PORT ADAPTER WITH BRACKET and 16in CABLE for INTEL MOTHERBOARDS Ensure smooth data flow from either your serial or parallel port with an I/O Add-a-Port Adapter Cable from Cables To Go. 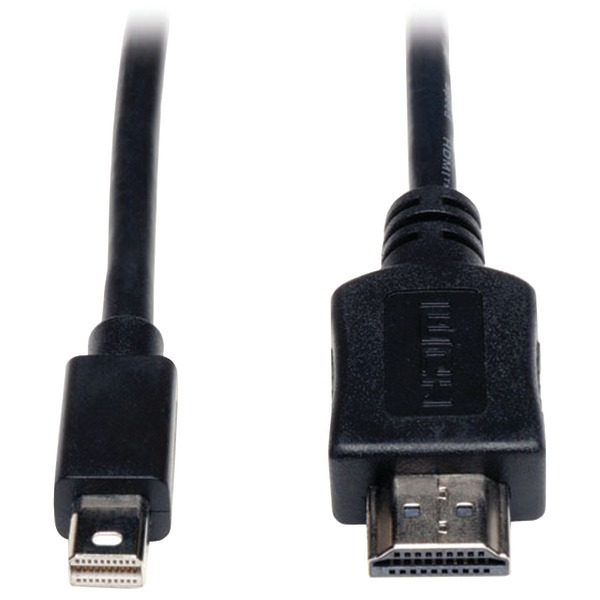 Choose DB9-pin or DB25-pin male serial ports. 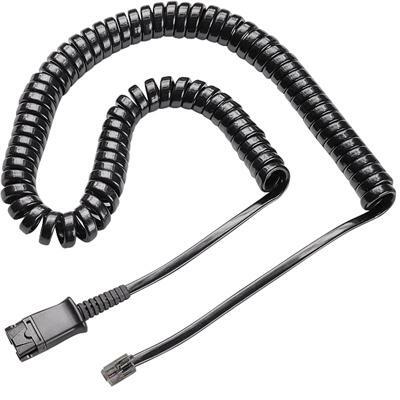 These adapter cables connect to the motherboard or I/O adapter via flat ribbon cabling and attach to a port knockout on your computer case. This item cannot be shipped to APO/FPO addresses. Please accept our apologies. 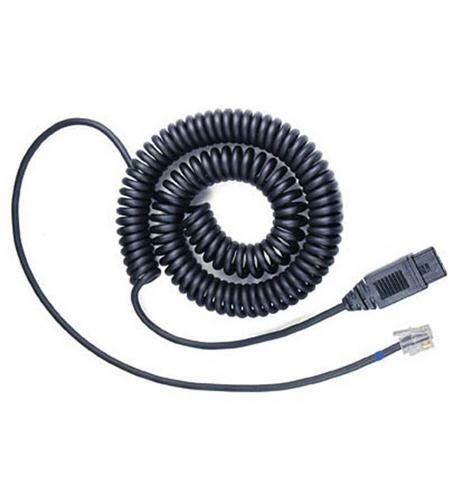 Spare U10P-S Cable. 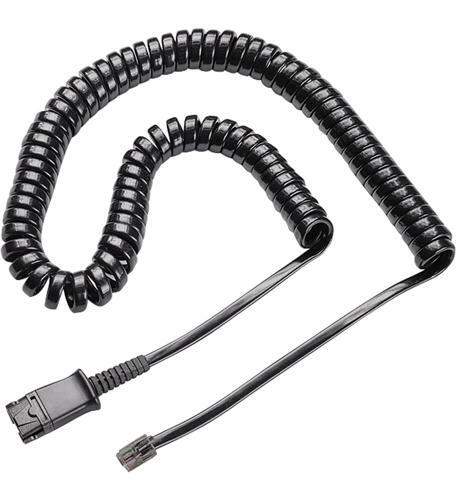 U10P-S cable (38099-01) also known as the Yealink cable is used as a Direct Connect Cable which connects an H-series headset into a compatible phone. This item cannot be shipped to APO/FPO addresses. Please accept our apologies. - For Cisco 7940/7960 series IP phones, Avaya Callmaster, and Plantronics M22, M12, M10 multipurpose amplifiers. 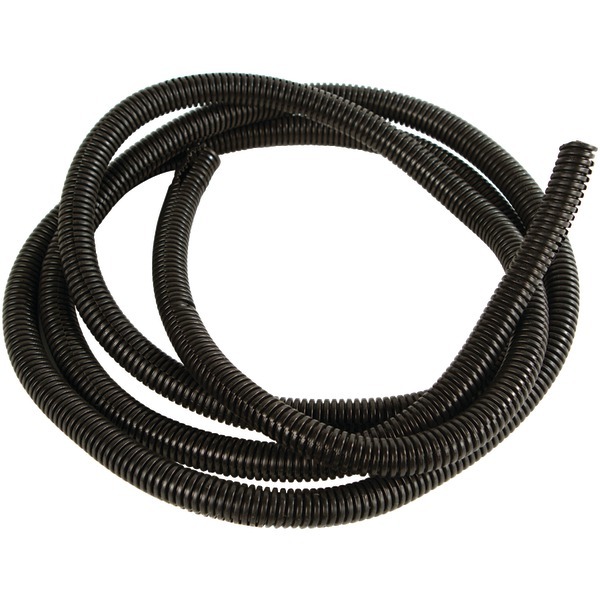 10 ft coil cord. 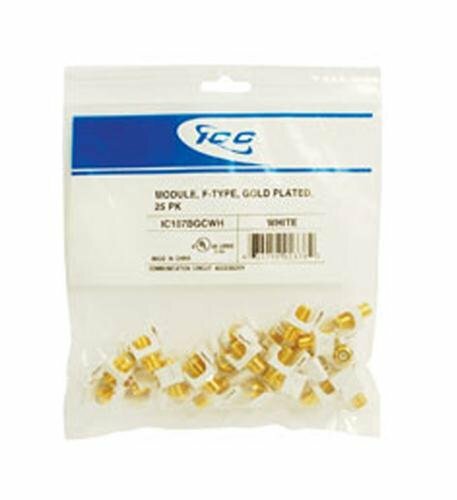 Quick disconnect: G series. 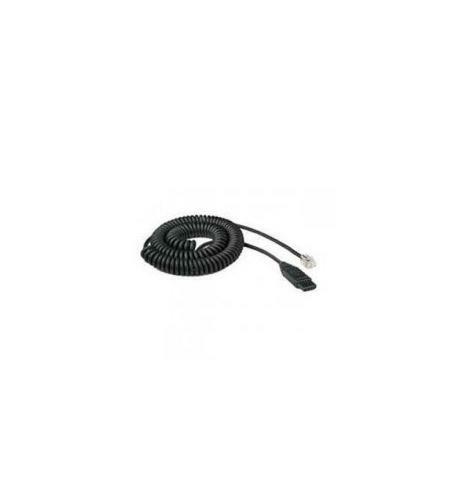 Plantronics APS-11 Savi Hook Switch Cable EHS SIEMENS This item cannot be shipped to APO/FPO addresses. Please accept our apologies. 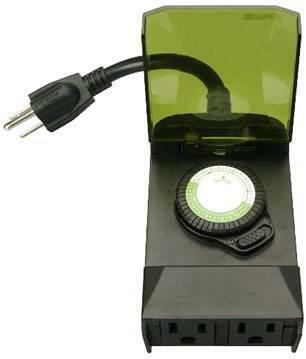 ELECTRONIC HOOKSWITCH APD-80 CS500/SAVI This item cannot be shipped to APO/FPO addresses. Please accept our apologies. 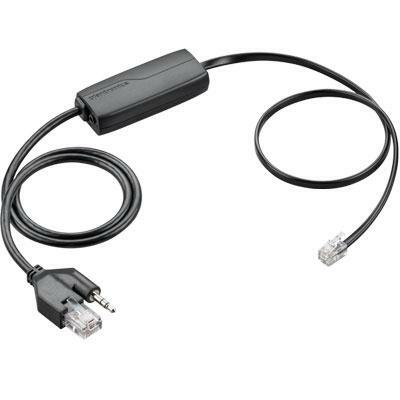 KVM Switch USB Server Interface Unit Virtual Media HD15 USB RJ45. 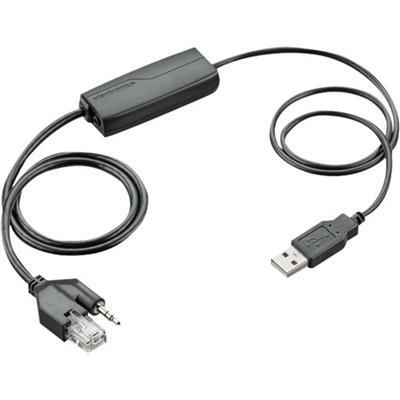 The Tripp Lite NetCommander USB Server Interface Unit (SIU) connects to the HD15 port and USB port on a computer/server and converts them to a single RJ45 connector. 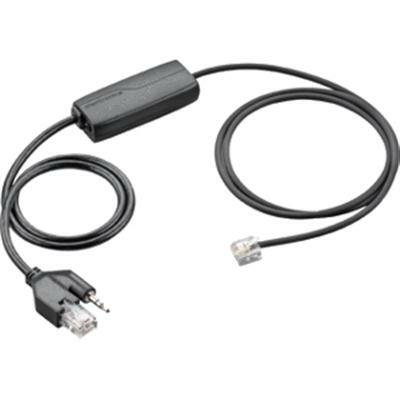 Ordinary Cat5e patch cables can then be used to connect the server to the switch ports on a Tripp Lite B070 / B072-Series NetCommander Cat5 KVM switch. Use of Cat5e cables frees up space in the installation that would ordinarily be filled by traditional thicker KVM cables. This item cannot be shipped to APO/FPO addresses. Please accept our apologies. 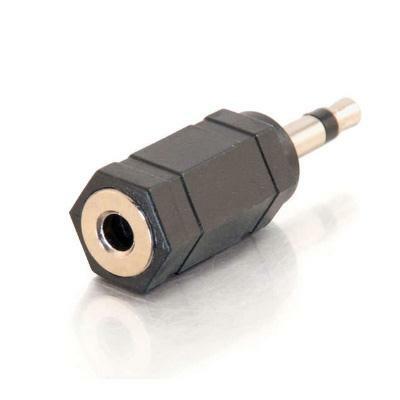 3.5MM STEREO F/M ADAPTER This item cannot be shipped to APO/FPO addresses. Please accept our apologies. 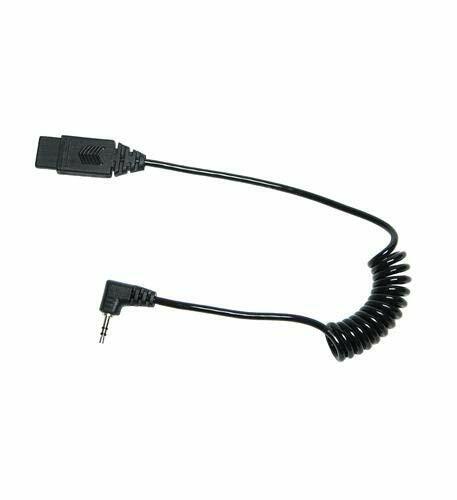 PLANTRONICS New 6626701 Cable A10-12 S1/a H-top Adapter Cable For The Polaris Headset This item cannot be shipped to APO/FPO addresses. Please accept our apologies.